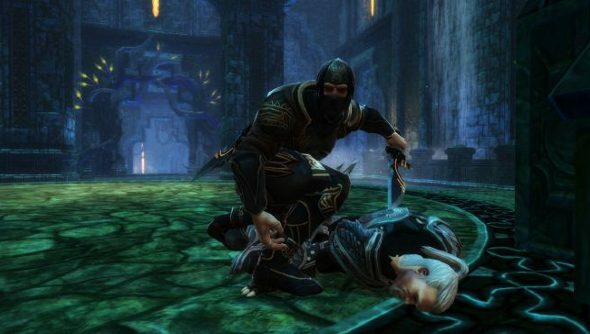 Kingdoms of Amalur was a big thing right up until it launched; then it just faded away, unlike 38 Studios’ legal troubles. That’s a bit of a shame, really, because it was a solid action RPG with a number of genuinely great moments. If you never got round to taking it for a spin, then now is your chance. Alongside Battlefield 4, Origin is offering a free two day trial of Kingdoms of Amalur as well as a 50 percent discount. It’s definitely worth checking out for free, and a pretty good deal for less than a tenner. The action is nice and fluid, letting you seamlessly switch from magic to physical attacks, creating some devastating combos. And the custom class system that ties into the narrative is quite nifty. Unfortunately the story is a bit guff, but that’s balanced out by some excellent world building. The heroes tale offers bugger all that’s new, but it takes place is a realm that feels established, with fabled characters and a living history. While you can get Battlefield 4 for a whole week, opposed to the mere 2 days with Amalur, I reckon the latter is a bit more tempting. But if shooting and multiplayer is more your cup of tea than interesting fantasy worlds, then Battlefield 4 is likely your best choice. Not that you have to choose! You can play both.